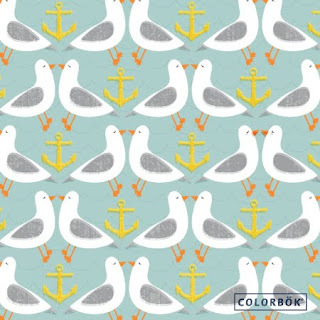 Head on over to the Colorbök Studio Blog to download a nautical inspired wallpaper for your desktop, iPhone or Droid from my Anchors Aweigh collection in development. Who can resist smooching seagulls? so cute, i love it! !